In this part of my Django tutorial series we’ll learn about the built in Administration part of Django, Templates, Form Processing, Databases, Namespaces, Passing Data in URLs, and multiple useful Django functions. If you didn’t see the previous video, you must because this is a multipart video. 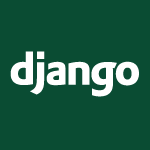 Here is a Django installation video. All of the code and a transcript of the video follows below. If you find videos like this valuable consider donating a $1 on Patreon. You need all of the code from the previous video plus this. response = "You're looking at the results of question %s"
'error_message': "You didn't select a choice"